This has of course been discussed before, but since we have nothing better to do while waiting for a sequel to the prequels :), we might as well discuss it some more, and what might be a possible way of connecting Alien: Awakening and the original Alien movie? This leads me to my thesis: LV-426 is where the eggs have been created. None of the juggernauts we have encountered in the movies has had eggs in the cargo hold. What they have stored there are urns filled with the mutagen/pathogen (the black goo). So, what was the space jockey and the derelict doing on LV-426? Well, one answer might be that he brought the mutagen there which was needed in order to create the eggs (more eggs). It might even be possible that the opening (which Kane enters) is a hatch which can be opened and positioned just above the hole leading down into the cave? Through here they could lower down the mutagen so they can produce more eggs? But, as the space jockey opens the hatch, a face hugger, which has left one of the eggs down in the hatchery, crawls out and launches itself onto the face of the space jockey. When he awakens, the chestburster is on its way out and he has just enough time to set the warning signal? The time and creation issues surrounding the eggs have become a huge problem since we have two paths to choose from: either they are ancient (David merely re-creates/evolves them) or David creates them? 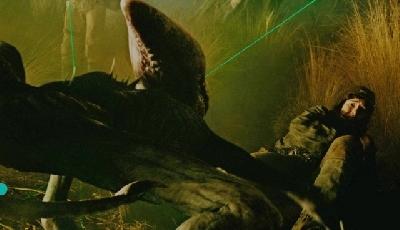 But, in this scenario, the mutagen is created on LV-223 and the eggs on LV-426. The mutagen must be fetched from LV-223 and transported (in the cargo hold) to LV-426 where it is unloaded. The outbreak on LV-223, about 2000 years prior to Prometheus, might have nothing to do with the space jockey and the derelict and the eggs on LV-426, it’s just an accident with the mutagen (which Captain Janek explains). But, in order to make this work, the alien-made cave with the hatchery and the eggs on LV-426 need to be ancient and there would, most likely, be an experimental facility connected to it where abducted human females or sacrificed engineer women were used in order to produce the eggs? In the Alien Covenant novelization David told Oram he found some dead egg on planet 4 and he only replicated it. But this is not in the movie, not even as a deleted scene. All we learn from the prequels is that David created the eggs. daliens: Yes, I know. In Foster's novelization David explicitly says that he isn't the creator but that he wishes to imitate and perfect what the engineers had accomplished aeons ago. But, sadly, in the movie, they took the route that David is the creator (which is quite absurd really given the mural, the trilobite, the deacon, the chestbursted engineers on LV-223 etc). If there will be another movie connecting the prequels to Alien, they might, of course, change this again. I think it's quite easily done. They just have to turn it into David, in his megalomania (seeing himself as God and creator) is delusional (he is clearly malfunctioning). The engineers had created the mutagen and xenomorph-like creatures ages ago but seeing the madness of it, had stopped with it. The trilobite and then the Deacon came from the pathogen via human hosts. The dead engineers from lv223 did not see any eggs either. The first eggs we see in David's lab and basement. I would prefer that the eggs from Alien have a different origin than David's. And they are so many, they imply the existence of a queen or some artificial mass production, something David is not yet able to do. I really hope they will give us some answers. Could it just be the bottom hull of the entire ship? I never thought about it possibly being too large to be part of the ship. But I still feel like it is. Critters5 That's what I thought at first way back when until I got looking at the ship and cave. The sizes just don't match imo. Then I read somewhere that the cave was actually the egg silo but the Alien movie ran out of time and resources to really show it. Are there any Ridley comments on what exactly this area is? 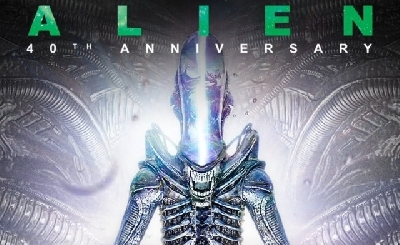 If it is a silo and not part of the ship this makes it even harder to connect AC to Alien especially if Disney gives RS only 1 rushed movie. If that's a cave and not a cargo hold it pretty much changes everything. In the Alien Covenant novelization David told Oram he found some dead egg on planet 4 and he only replicated it. But this is not in the movie, not even as a deleted scene. There is one deleted scene “Stairs to Eggroom” (extended). I’m not sure how much attention has been given to this, but what strikes me about this scene is the fact that David gives Oram a lavender smelling scent which is taken from a receptacle on the wall. What I find odd is why David would have need for it? and more to the point was it David that put it there ? This suggests to me that the eggs where already in the egg room before David came to the planet. This I think is why the scene was deleted, but on the theatrical release of AC the receptacles are still to be seen on the wall. Not only is the hatchery too big to be a part of the derelict, it’s very warm (like in the tropics, Kane says), it’s curved (not straight) and as far as I have seen in the films, a juggernaut has only one floor, Critters5? The cargo holds we have seen are much smaller, not so high and they seem to have been situated on the same floor as the pilot room? Well, we have seen eggs before the one in David’s lab, daliens - in the mural. Long ago, they might have used abducted female humans or sacrificed female engineers? The answer to how there can be so many eggs - many thousands it seems, might be that they have had plenty of time, perhaps hundreds or thousands of years to produce them? Or, as you suggest, there is a queen? Chili, it could be that everything was bigger on the derelict than what RS wanted for the prequels. Example the Engineers are much smaller in the prequels than Alien. Also, that picture does appear to be curved if you look in the background. I will first tackle the Origins of the Cargo Hold, when working on the earlier drafts to Alien, there was supposed to be a separate Pyramid and Derelict Ship and the Cargo of Eggs was inside the Pyramid, during Production HR Giger had came in to design the Derelict and Pyramid which HR Giger now replaced with a Giant Egg Silo. Due to budget restraints they had to combine the work done on the Egg Silo and make it appear as if it was part of the Derelict Ships Cargo. This is why the Scale was off, and HR Giger envisioned the Egg Silo/Cargo Hold Created the Eggs. The Problem is HR Giger had already done concept work for the Egg Silo and Derelict and proceeded with building the Props/Matt Background Paint Scene. It would have cost even more money to Re-Shoot/Re-do either the Derelict or Egg Silo/Cargo Hold and thus we have the Scale Problem. Ridley Scott had came along to clear things up and said that INDEED the Egg Chamber was the Derelicts Cargo Hold. Even though there was no way it would fit. I have taken one of the best shots of the Derelict Prop and Re-sized the Vaginal Openings to Match the size with the Juggernauts and overlaid the Derelicts opening and central Space Jockey Chamber/Pilot Room. The Boxes in GREEN and RED show the Maximum size of the Cargo Hold as in Height Relative to the Highest Point of Entry that Kane could have taken from the Space Jockey Seat Platform, as you can see there is no way the Cargo Hold Fits. I have scaled the Derelicts openings to scale with the Nostromo Crew, in relation to the size of Kane in RED coming down into the Egg Chamber and so this gives a APPROX guide to the Derelict compared to just the portion of the Cargo Hold we see. A lot sadly comes down to OVERSIGHT with Appearance and Scale, we just have to Suspend Believe at times, the same as the Space Jockey compared to the Engineers, the same as the difference between those Planet 4 Engineers and the ones in Prometheus. It really shows a incoherent lack of Detail and going back to the Source Material (ALIEN) unfortunately. But while there are visual things that dont add up, or things that appear in the Movies i guess they are free and open for debate... and so as we can see the Cargo Hold wont fit, we have to accept it does, assume Engineers have the same Dimensional transcendentalism that Dr Who's Tardis has. Or indeed ponder the theory that its a Separate Cave/Egg Silo the Derelict had landed on. The same applies with the Alien Covenant Xenomorph, there are some clues in the Work-shop which suggest and show the Classic Egg, Face Hugger and Chest Buster, do we have to consider these as legitimate clues? If so then it would push us towards David simply Evolving or Re-Creating the Xenomorph. A Problem with this would be how FOOLISH are the Engineers to Store those Eggs within/under the Cathedral Central Building? But then this place could well be a Ritual Sacrificial Place so it leaves it open for debate. 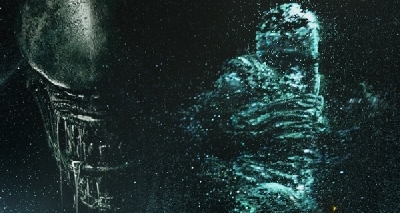 Regarding the Deacon, and the Neomorphs its clear these are a result of the Black Goo, but we do have the Fresco's with that Creature next to the Engineer and another shot of what appears to be this Creature holding a Xenomorph Egg.... so chances are the Engineers had encountered the Eggs prior or a Organism that could Lay/Produce those Eggs or Ancestors to them. BigDave Your pics nail how the derelict and egg silo were off. All one has to do is look at those three pics for an idea of scale. Yep, production ran out of time and money and we got what we got. Well, I suppose you can’t argue about the budget but if we go by the film, it’s a huge cave (which Kane says it is). Why didn’t they bother to change the dialogue? They could have had Kane saying: “It looks like a cargo hold or something!”. Do the juggernauts have several floors, by the way? To me, it looks like only one. Well, it worked then but problems arise when interpretations are necessary to make prequels and sequels? I watched again those scenes from Alien. After they entered the derelict they passed through some ascending corridors then they got up a wall to find the pilot room and the "Alien life form. It looks like it's been dead a long time. Fossilized. Looks like it's grown out of the chair. Bones are bent outward. Like he exploded from inside." Later Kane discovered the hole in the floor. The hole is large enough to allow Kane's descent through some kind of pit. The hole was right on top of that pit. "A ca--a cave of some sort. But i-- well, I don't know, but it's like the goddamn tropics in here. The pit is completely enclosed, and it's full of leathery objects, like... eggs or something. There's a layer of mist covering the eggs that reacts when broken." During his descent from the pilot room Kane does not pass any other decks or platforms or outer hull, so we can assume he remains inside the derelict all the time. Why did he used the word cave? He probably wanted to say cargo hold (he started with "a ca...") but it was not looking like a cargo hold he was familiar with. It was a single huge compartment, without any vertical bulkheads. Probably the leathery objects and the blue layer of mist made everything look more like a cave than a hold. Anyway the hold has the design Giger made for the silo. But if the eggs are in the cargo hold, how did the SJ got infected? Who/what made the hole in the floor? It was made by something getting out of the hold and into the pilot room (it was right on top of that pit Kane used)? It was made by the thing that burst out of SJ? Why would that thing go down to the hold? Did that thing lay the eggs after it killed the SJ? What is the connection between the Deacon the the thing that killed the SJ? Can the Deacon be an alien queen? The SJ was very old, it looked fossilized. The dead engineers from Prometheus were very old too but their suits still looked like suits not fossilized bodies. Why? You are right about that lavender ointment, it could have been there before David's arrival on planet 4. So the eggs... Unfortunately Ridley Scott excluded this reference from the film. Well, to me it sounds more like he’s stuttering out of excitement. “A ca” is the beginning of “A cave” which is what he eventually says, and it definitely looks more like an (alien modified) cave with its rolling shape. As has been pointed out by some in this thread, this is because it was meant to be a cave (or a silo) from the beginning but apparently economy put a spoke in their wheel. In the beginning (earlier scripts), the eggs were therefore meant to have been created there. Yes, how did the space jockey get infected? It might remain a mystery or, if there will be another movie connecting to Alien, RS might give us his view of the backstory. If, for some reason, the juggernaut (derelict) had eggs stored in a special area of the ship (in the other juggernauts we have seen, the cargo hold was on the same floor as the pilot room and sealed by a door, one of them decapitating an engineer during the outbreak. These cargo holds contained urns filled with pathogen - not eggs), perhaps one facehugger left its egg and climbed up using acid, broke through the floor to the pilot room and attacked the space jockey? The resulting xeno would, later on, die of starvation somewhere on the moon? Another possibility is that the space jockey got infected during the outbreak on LV-223 (about 2000 years earlier). There were four other facilities on LV-223. Perhaps the eggs were created in one of those and that the outbreak started there and spread to the other facilities? This would explain why some engineers were chestbursted. The space jockey perhaps managed to escape and was, maybe unknowingly, infected but managed to land on LV-426 and set the warning signal before he died from a chestburster? If this was a queen, it might have made the hole down into the cave and lay all the eggs? The deacon might not have anything to do with the rest of the story at all. It was created with the pathogen (containing xeno-DNA?) and humans and an engineer as hosts and when David and Shaw left LV-223 it eventually died? Why was the space jockey fossilized (which Dallas claims)? Well, either he was wrong (it wasn’t that old) or the space jockey was very old, perhaps even older than the outbreak on LV-223? In the latter case, the eggs must be very old as well and not David’s creation . . . There is quite a bit of inconsistency regarding the dimensions of the Derelict and Juggernaught, i think with the Derelict they should have worked on a full schematic of the ships layout but this was not the case, the Juggernaught did have more work done as far as schematics. The FIRST image i posted i lined again the Vaginal Openings to match approx size but they dont line up as far as the Dome at the Top of the Derelict with the Juggernauts and then the Vaginal openings lining up too. I am referring to the image with the RED box the openings are scaled to approximately the same size, then the domes lined up and the openings of the Derelict Overlay are higher up than the Juggernauts. This shows if the Vaginal Openings are about the same size then the Juggernaught is actually about 2M Taller than the Derelict. However when looking at actual given sizes the Juggernaught is a C Shape and its size in Diameter is about 300M mark, the Derelict is a average of 60% of the Juggernauts given size, The Derelict being a U Shape its Diameter cant be worked out to well, unless we take Two different X/Y measurements which give us 160M X 180M Approx. So from this we can even more so see the Cargo Hold in Alien Cannot fit under the Pilot Room. Another interesting error is the interior of the Derelict as far as Pilot Room and the size of the Entry Points to the Left and Right are WAY more larger than the Juggernaught showing the interior height of the Corridors is much larger on the Derelict. The Juggernauts Entrances (to Pilot Room) if i remember right are about 10ft tall, they are not shown in this image, and the scale may seem off but we need to remember the SJ shot is using only 4ft Child Actors in this shot. So a lot of inconsistency have caused us problems which leads to debates such as this Topic. Its easier to work out the Juggernaught as we have some Schematics. When we consider this, and the Derelict supposedly being 60% of the Juggernaughts Size, even if we consider them the same size as in height, we can see there is NO WAY the Egg Chamber in ALIEN would fit. In Alien we can bare in mind the Nostromo Crew enter the Vaginal openings and appear to walk upwards so there is a upward slope to them, and they then climb up to appear via a shaft/gab just beside the Pilot Seats Circular Platform. In Alien Covenant the Crew of the Covenant enter via a Hole in the Cargo Hole, we can assume at a point similar to where i have marked out in MAGENTA but then in order to enter the Corridor that leads to the Pilot Room they have to descend down. I can give a more in-depth analysis using shots from Alien Covenant, but it could appear the Juggernaught Interior is very odd, and maybe the Entrances that lead to the Internal parts of the Left/Right Arms of the Ship are laid out differently to each other? Ridley Scott has said the Cargo Hold was part of the Ship however in ALIEN, it would be interesting if we ever see the DERELICT prior to its Crash Landing in future to see how RS covers the Egg Chamber. Going by the Size of the Exterior and Interior of the Juggernaught and Derelict the only Logical Explantion i have is that the Derelict ships Technology is different and it has a similar Dimensional transcendentalism that Dr Who's Tardis has. I could try and give my two cents to some of those Questions, but it may end up being a bit off topic, but if anyone wants to know my two cents i will post them. I will roughly cover the Derelict Ship though. Indeed the idea was TWO separate locations, and HR Giger would have began Production on both the Egg Chamber shots and interior of the Derelict, prior to finding out that they have to combine them as being in the same location (on board the Derelict). I ASSUME the Acid Burn Hole was necessary in the Pilot Chamber if they are going the route to show the Cargo Hold is under the Derelict due to Kane having to descend. So they would have to come up with some way of having a Plot Point for how they would get from the Pilot Room to the Egg Chamber. I will have to read the TWO Alien Drafts to check this out though. so we are left with the Acid Hole, that appears to be burnt down so its LIKELY the Acid Melted downwards, what can cause this? A Wounded/Dead Xenomorph Organism, be it Adult or a Face Hugger. I struggle to see how a Face Hugger would create that Hole however. THUS leaving the ACID HOLE one of the Bigger Mysteries we have never had a answer for... apart from in one expanded universe Novel, where it was a Killed Xenomorph via a Firefight. That happened way after the Derelict Crashed... if i remember? I have not read the Novel and just only a broad synopsis and few Plot details. One last thing.... the Space Jockey color does not match those Engineer Suits which have also been there for THOUSANDS of years, this is a Great Point.... however, only the Space Jockey and part of the Chair he is attached to have that Bone Color to them, the rest of the Chair and Chamber is a similar color to the Juggernauts. Which has led to some speculating the Space Jockey must thus be similar to this image. 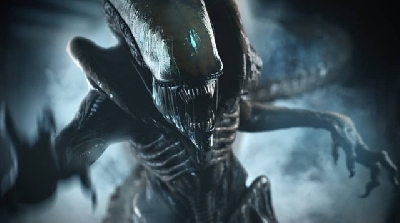 Ridley Scott had Explained the Space Jockey Event in a bit of detail after Prometheus, but i wont cover it now as what he said has no bearing on the Franchise now with the U-Turn that the Xenomorph is a Creation of Davids. I suppose we must assume that the derelict is identical to the other juggernauts (except maybe for size)? In that case, there is no cargo hold under the pilot room (if we go by Prometheus) but there is a space thereunder for the pilot chair which can be raised when travelling? The hole which Kane enters is at one side of the pilot platform so there is no room or hold under there? If you continue down the hole, you go through the hull of the ship and into the rock under the derelict and eventually you end up in the cave? Unless there are two storage rooms beside (one to the left and one to the right of) the storage hole for the pilot chair? But they must be way too small for the huge cavity that Kane enters? Well this topic has certainly got my old brain cells working. I prefer to go with the idea that the cave is a manufactured storage facility. After thinking about this as a design problem, the main issue I see is, how does the derelict connect to the egg silo? Given all the issues with scale, I find approaching the problem by treating the silo as an external structure to the derelict opens up some interesting possibilities. In Alien the Nostromo was capable of towing an entire refinery, so could the derelict have been capable of carrying a portable egg silo ? Could the silo then be detached from the derelict for it to go an get eggs from some where else and then deliver them to the silo for storage? Looking at Giger’s original egg delivery system it would seem logical that the derelict was there to deposit eggs rather than remove them, but that is just my interpretation. The thing that jumps out from all this is that it seems highly unlikely that the egg delivery system is a result of something that David has manufactured, which leads me to conclude that the Engineers were farming eggs well in advance of David. From Giger’s original drawings, Kane would also have descended from the derelict into the silo via an egg shute. 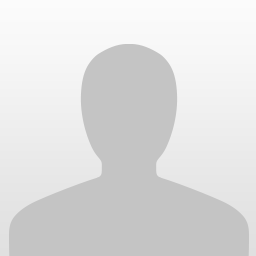 BigDave - Thank you for sharing the scuba diver space jockey images. I like the design very much. 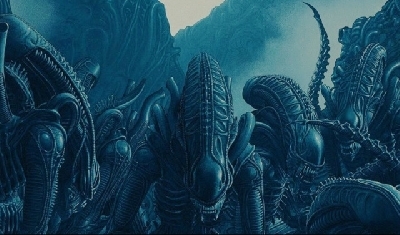 It would be good to see this version in the Alien prequel. Before entering the egg room in Alien Covenant, David touches an egg in the lab - not the sliced one. It's only a moment in the movie. That egg had been made by the Engineers, then was found by David on Planet 4. It seems to be obvious that the Engineers are the creators of the original eggs, and David recreated them. The first of greater interest as this SET was used for both the Egg Silo and Pilot Chamber, they simply swapped out the Eggs for the Pilot Chair Platform, the whole set is cut off about Half Way. The shot above is a Matt Painting but they modeled the Set that we see Kane actually walk down and enter the area of the Eggs, was replicated to match up to the Blue Line. I am sure they then used the same SET for the Space Jockey Scene where the Platform was placed where the Green Oval is. So it would appear that the Pilot Chamber was very Large too. As far as if we could have panned to the left and right and looked up. But in Alien we did not get to see much of the room, and so i think the Alien Isolation DL Marlow and Derelict game content maybe did a good representation of what it could have looked like, i think the Bonus Game did a very good job of the Egg Chamber. The MOST INTERESTING element of the Game Extra is as they lower themselves into the Cargo Hold they actually go past what looks like a Cave, well Lime Residue of some Caves. But the same kind of feature starts at the top of the Hole, so maybe its the Acid Burnt Hole but it would take some LARGE Acid Spill to cause that much. Also Batchpool neat idea about the separate Egg Silo. about 5-6 years ago maybe a bit less we had Topics regarding the Egg Chamber and back then i brought up the THUNDERBIRD 2 Ship from Thunderbirds, and pondered could the Derelict Actually attach to the Egg Silo, maybe it does not fit all the way inside like Thunderbird 2 Cargo, but the image of when Thunderbird 2 is raised above its Cargo and about to then drop down onto it, reminded me of maybe how a Separate Egg Silo could attach? However..... even if we think about something like this, the size of the Egg Cargo as shown in Alien would be much larger than the Derelict. Ive used this Art by Yurii lebediev Organic UFO and if we assume the Egg Silo is this size i have added what i think the Derelict is likely like compared. I would not take this size comparison too seriously though, i just have a feeling the Alien Egg Chamber appears to be Circular but then it does not quite fit a Donuts Shape, the impression from the Long Shot where Kane Descends is maybe the Cargo Holds are Shaped like the Flower Cake Maker. So indeed i think again size wise the Cargo Hold would be too large to not only fit under the Derelict but also even as far as a Separate Caro Module, it would be too large to carry but we dont know what Engineer Technology is capable of. So a Separate Cargo Module the Derelict Collects cant be ruled out, but i think the Theory that the Egg Silo/Chamber is separate seems more suitable. Thanks for the Video Link, i actually found some of the Comic Depictions not to good, i would however like to have it revealed the Space Jockey Race is another Race that are either above the Engineers, or the Engineers Stole Technology off, or vice versa. 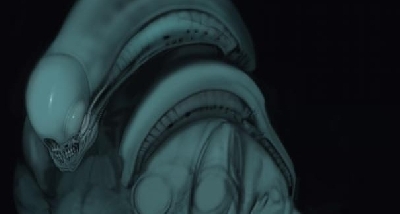 I would maybe still go for a Space Suit but have the beings inside look less Human than the Engineers, because when i look at HR Gigers Concept, the Space Jockey looks like a Suit, well it looks Bio-Mechanical like the Xenomorph and so not a Skeleton of some Organic Organism. I do think some ideas from the Comics could be used, such as the Space Jockey Telepathic Ability, if one comunicated with a Human then we would not need Subtitles as we could hear a voice inside the Humans head etc. I also like the Space Jockey idea of appearing as Benevolent but then having a hidden Malevolent Agenda. The Space Jockey very HR Giger Aesthetic World would be something interesting to see too. I have only read one of those comics but i have seen the images from the others and so back ground information from them was interesting, it appears some of the Atheistic and Scenes from the other comics MAY have influenced some of the Back Ground Plot that Alien Engineers/Prometheus had explored (but not the creation one off course), the one Space Jockey Born Xenomorph does look similar to some of the unused ULTRAMORPH designs too. I can see how that kind of design would fit, because the Space Jockey was the same color as that part behind his back, so we can see how some have designed some ideas that incorporate it as some kind of Back Pack or Shell. I think these are better designs than the Comics used in that link Critters5 posted, but i would like to see the Space Jockey revealed as some 12ft tall Bio-Mechanical being, much like the Engineers suits, but have the Helmet look more like the one in Alien and the Color a bit different for the whole Creature. But have it as a mask all the same but under it something not so Human at all.